What we feed our dogs influences not only their health and well being, but their coat, teeth and general body smell. I am seriously surprised how many manufactures make, and people feed, products that contain corn, corn meal and corm gluten. As children we loved corn. My mother grew up on a diary farm and would always tell us, 'corn is for cows. It has no nutritional value for people'. It tastes great and fills the stomach, add to our general weight gain but does not actually stay in the body long. It is an inexpensive filler. Grains/wheat are another product that dogs do not need on a daily basis and are for herbivore. Dogs are carnivores, meat eaters and thrive on it. The less filler used in a food, the better grade the food, the less waste your dog will have and the less waste you will pick up in the yard. 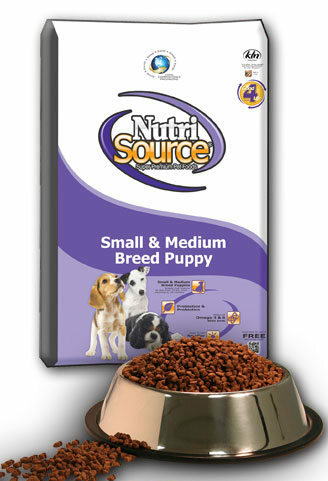 The less your dog will need to eat to achieve optimal body weight and health. One of my puppy owners pointed out that the dogs have less 'doggie' smell when on a good meat based diet. ​My dogs get raw every night. 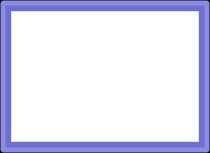 They can graze on Flint River and/or Earthborn kibble during the day. Their bed time meat is raw pork or chicken or beef, occasionally fish. Raw NEVER cooked, bones and all. The bones, uncooked are soft and digestible. Cooked they are brittle and splinter. Ingredients:Chicken meal, chicken, brown rice, white rice, fish meal (a source of fish oil), oatmeal, chicken fat (preserved with mixed tocopherols and citric acid), flax seeds, beet pulp, tomato pomace, sunflower oil, natural flavors, dried egg product, brewers yeast, potassium chloride, salt, proteinated minerals (zinc proteinate, iron proteinate, copper proteinate, manganese proteinate, cobalt proteinate, selenium proteinate), yeast culture (saccharomyces cerevisiae, enterococcus faecium, lactobacillus acidophilus, aspergillus niger, trichoderma longibrachiatum, bacillus subtillis), vitamins (vitamin A acetate, vitamin D3 supplement, vitamin E supplement, niacin, pantothenic acid, thiamine mononitrate, pyridoxine hydrochloride, riboflavin supplement, folic acid, biotin, vitamin B12 supplement), glucosamine hydrochloride, lecithin, ascorbic acid (vitamin C), choline chloride, chondroitin sulfate, yucca schidigera extract, calcium iodate, rosemary extract. Chicken, chicken meal, peas, pea starch, pea flour, chicken fat (preserved with mixed tocopherols), alfalfa, flax seeds, natural turkey and chicken flavors, salmon meal (a source of fish oil), dried egg product, tomato pomace, potassium chloride, sunflower oil, dried brewers yeast, salt, minerals (zinc proteinate, iron proteinate, copper proteinate, manganese proteinate, cobalt proteinate, selenium yeast), taurine, vitamins (vitamin A acetate, vitamin D3 supplement, vitamin E supplement, niacin, d-calcium pantothenate, thiamine mononitrate, pyridoxine hydrochloride, riboflavin supplement, folic acid, biotin, vitamin B12 supplement), glucosamine hydrochloride, ascorbic acid (source of vitamin C), choline chloride, chondroitin sulfate, yucca schidigera extract, calcium iodate, rosemary extract, yeast culture (Saccharomyces cerevisiae), dried Lactobacillus acidophilus fermentation product, dried Enterococcus faecium fermentation product, dried Aspergillus niger fermentation product, dried Bacillus subtillis fermentation product. 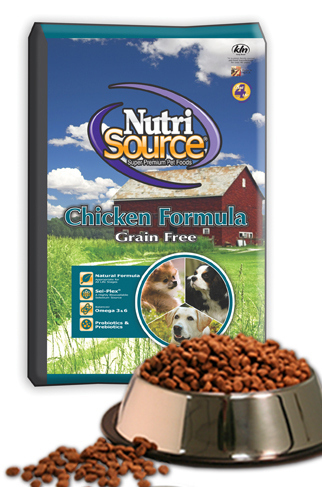 NutriSource® Grain Free Chicken dog food is formulated to meet the nutritional levels established by the Association of American Feed Control Officials (AAFCO) Dog Food Nutrient Profiles for all life stages.click here to add text.